BP Plc (BP/) and Total SA (FP), Europe’s biggest oil companies after Royal Dutch Shell Plc (RDSA), won exploration rights in the Amazon basin as Brazil’s first oil auction in five years attracts a record level of bids. Total, based in Paris, gained exploration access to operate five blocks at the Foz do Amazonas basin in northern Brazil together with partners BP and Petroleo Brasileiro SA, the oil regulator said today. London-based BP won an additional license to operate a block at the same basin in partnership with Petrobras, as the state-controlled oil company is known. 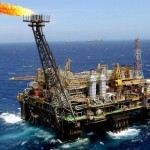 Brazil, home to the largest crude discovery in the Americas in more than 30 years, is holding its first oil exploration round since 2008, attracting more than 60 prospective bidders for a total of 289 blocks in 11 basins. The country is set to break the $1.1 billion record in auctioning licenses, according to Joao Carlos de Luca, the head of the Brazilian Oil Institute. BP and Total agreed to pay 621.5 million reais ($310 million) for the offshore Amazon basin concessions. BHP Billiton Ltd. (BHP) won bidding for two blocks in the same basin, the Melbourne-based mining company’s first oil assets in Brazil. OGX Petroleo & Gas Participacoes SA, the oil company controlled by billionaire Eike Batista, Colombia’s Ecopetrol SA (ECOPETL) and Queiroz Galvao Oleo & Gas SA also won licenses to operate blocks at the Foz do Amazonas basin. Today’s sale of exploration rights is beating the government’s expectations, Mines and Energy Minister Edison Lobao told reporters at the event, which gathered about 700 executives and officials. The Foz do Amazonas basin has attracted the most interest from participants, Magda Chambriard, head of oil regulator National Petroleum Agency, said. Most of the areas up for auction today and tomorrow are in virgin waters off the coast of northeastern Brazil where discoveries in similar geology across the Atlantic in Ghana and Ivory Coast yielded major discoveries. 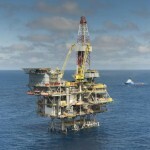 Tullow Oil Plc in 2011 sparked interest in the region with the Zaedyus find off the coast of French Guiana. Contestants in Brazil’s first oil auction in five years range from Exxon Mobil Corp. (XOM) and Chevron Corp. (CVX), the largest U.S. producers by market value, to Brazilian startup Ouro Preto Oleo & Gas SA, a government registry shows.